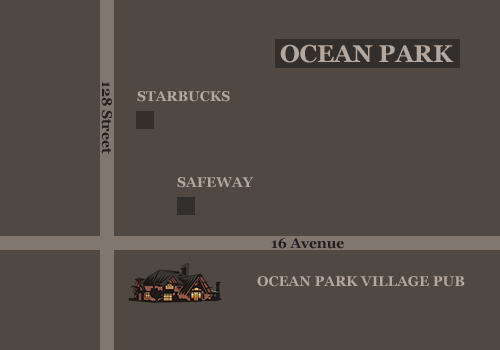 The Ocean Park Village Pub and restaurant is located in the heart of Ocean Park on the corner of 16 Avenue and 128 Street. 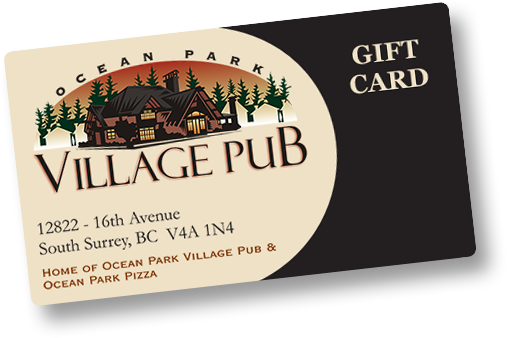 You can contact us at 604-536-9654 or via e-mail. View a detailed map of our location. If you are motivated to join a family owned and operated team and feel you will make positive contributions, please download and complete the application for employment, along with your resume, and bring them in to the pub/restaurant between 11am - 5pm and 8pm - 10pm.